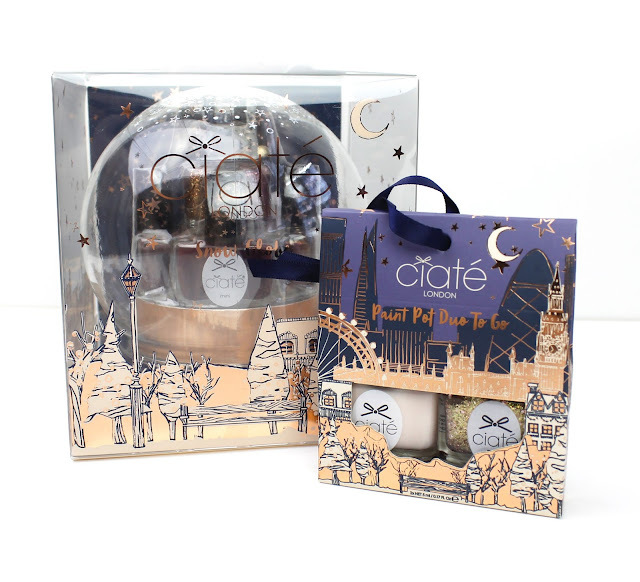 I couldn't resist picking up these gorgeous little Ciaté Christmas gift packs when I saw them at Mecca. Mecca released all the holiday gift sets and limited edition products this week and there are some really gorgeous ones. I gravitated to these over eye shadow palettes, which are my usual Christmas picks, but these polish sets were too lovely to resist. Left to right: Champagne Kisses, Fade to Greige, Couture, All Aglow, Heirloom and Dangerous Affair. I really like all of the shades in this set and I would happily wear every single one of them. When I was doing the nail swatches for these I did notice that they lacked a bit of opacity and took 3 thin coats, but they applied beautifully and dried quickly so that doesn't really bother me at all. I love how they have some staple shades like the Dangerous Affair and Fade to Greige, but also some really unique and eye catching glitters like Champagne Kisses and Heirloom. The Ciate polishes are always great quality so I really don't think you can go wrong with the gorgeous little gift set and the snow globe is adorable. For $18 I just had to pick this one up too. These would make the perfect little stocking stuffers or Secret Santa gifts. 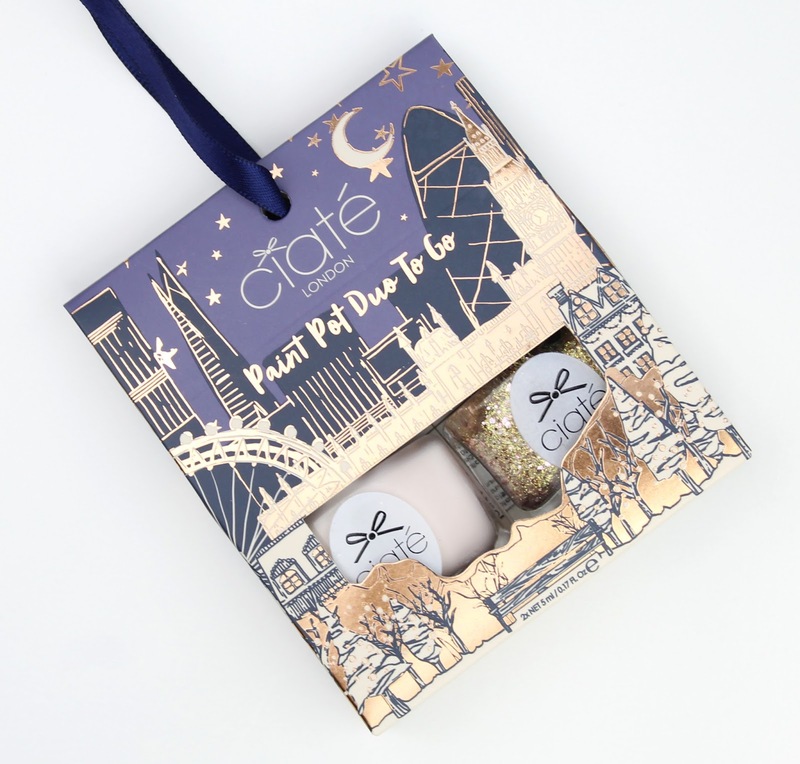 This pack contains Amazing Gracie (a soft pink creme) and Antique Brooch (gold and lilac foil glitter) which are both gorgeous. The glitter polish in this shade is what really attracted me to it because it is quite unique. Left to right: Amazing Gracie and Antique Brooch. Amazing Gracie is a typical very light pink that is almost white. It is a really soft and beautiful shade that would be perfect for everyday. I used 3 coats to build up the colour on this swatch but it isn't really one that is designed to be opaque. Antique Brooch is a really unique one that is kind of tricky to explain. 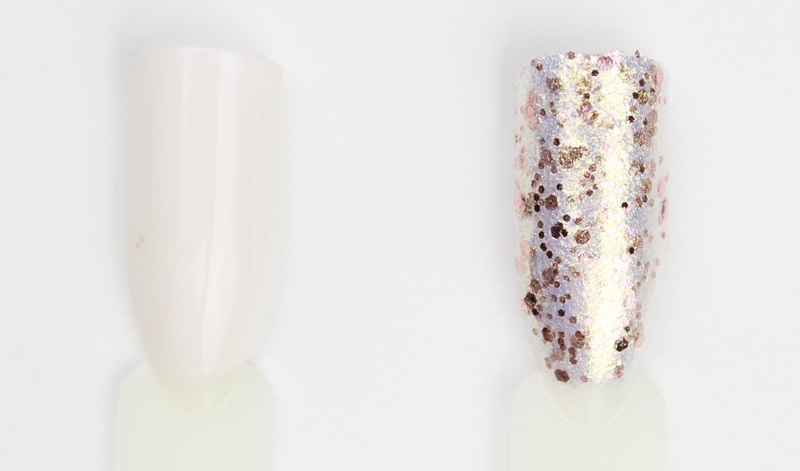 It is a gold foil flake with iridescent and lilac glitter. It is definitely the most unique one of the bunch and I really love it. 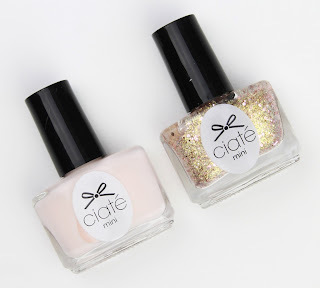 So there you have my review of these gorgeous new sets from Ciaté. I didn't comment on the longevity of these polishes because I haven't had a chance to wear them yet but I wanted to post my first impressions quickly so you can get hold of these sets before they sell out. 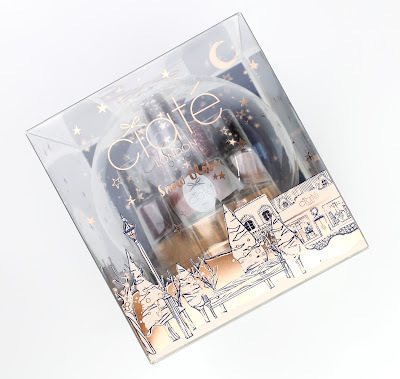 Mecca also released a Mini Mani Month Advent Calendar ($88) that I really wanted to get too but sadly, I had to exercise some control and not buy absolutely everything in the store. Let me know if you are planning on grabbing either of these and what your top picks from the Mecca holiday releases are in the comments below. I'd love to hear your thoughts. 3 comments on "Ciaté London Holiday Packs: Snow Globe and Paint Pot Duo"
Yeah the packaging is really cute at they apply well. I often find they lack opacity sometimes but because they apply so well, an extra coat isn't really a bother.